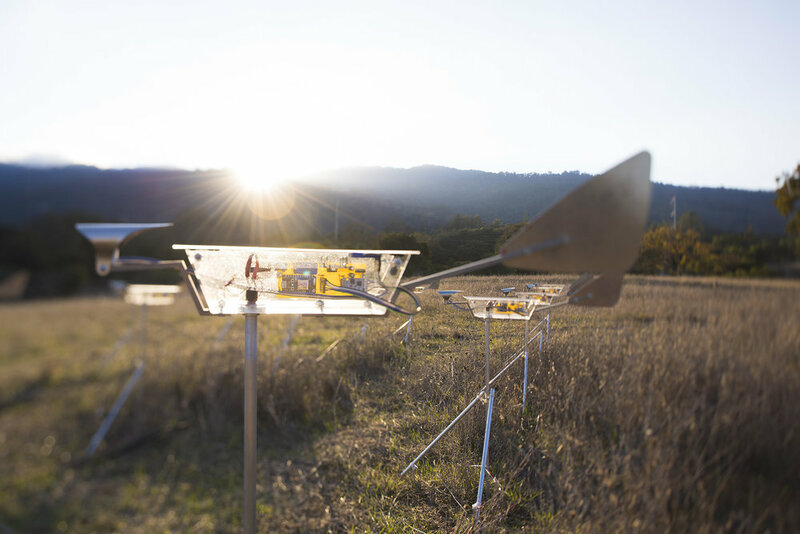 Remote Winds was presented by Cy Keener (MFA, art practice) and Will Chapman (MSc, atmospheric science), when they were students at Stanford. 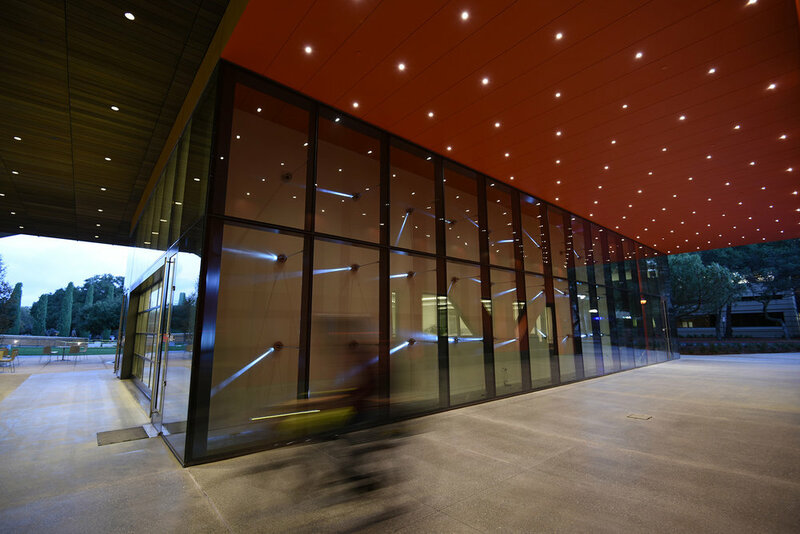 The installation existed in two locations, translating wind into light. 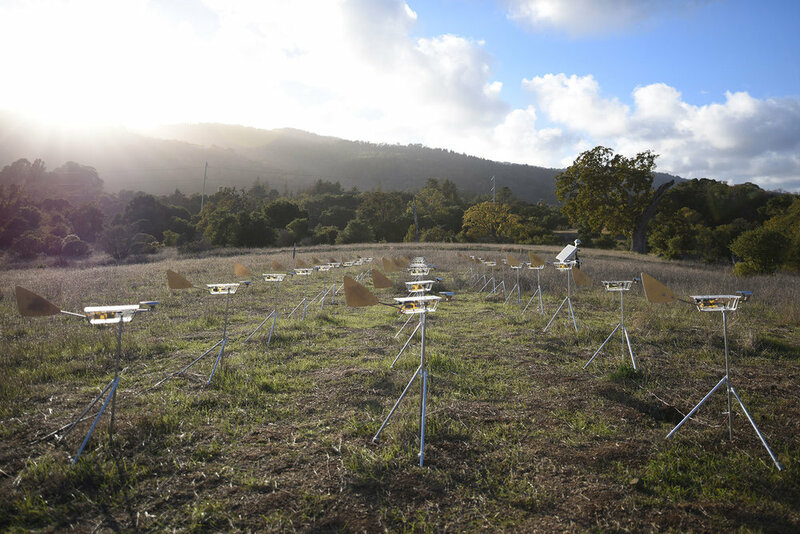 An array of 60 sensors installed at Stanford’s Jasper Ridge Biological Preserve listened to the wind and transmitted 450 speed and direction readings per second in real time to an installation at the Moghadam Family Gallery. Within the gallery, a 54’ x 19’ wall was filled with constantly shifting light, enacting atmospheric changes as they happened at a one-to-one scale. The expansive wall of light revealed an active and shifting canvas, giving viewers insight into the atmospheric dynamics of the Bay Area, as well as the microclimate of Jasper Ridge.